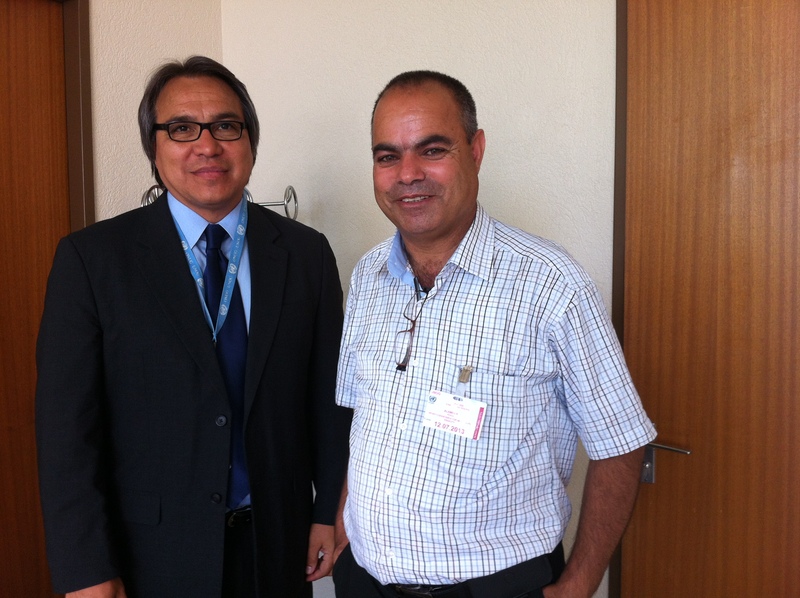 July 8th – 12th, 2013 (Geneva, Switzerland): Negev Coexistence Forum (NCF) representative Khalil Alamour attended the Sixth Session of the UN Expert Mechanism on the Rights of Indigenous Peoples (UN EMRIP). UN EMRIP is a component of the expert mechanism of the Human Rights Council (HRC). 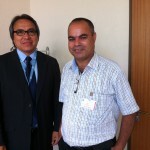 It contains five members and was established in 2007 to deliver expertise on the rights of indigenous peoples. The Mechanism meets annually for up to five days to study and reflect on the status and rights of indigenous peoples. Prior to the UN event, Mr. Alamour met with community groups and journalists in Zurich and Geneva to raise awareness about the Prawer-Begin Bill and the general abuses to the rights of the Bedouin population in Israel’s Negev/Naqab. Alamour continued this awareness raising campaign at the United Nations Palais des Nations in Geneva for the Sixth Session of EMRIP. 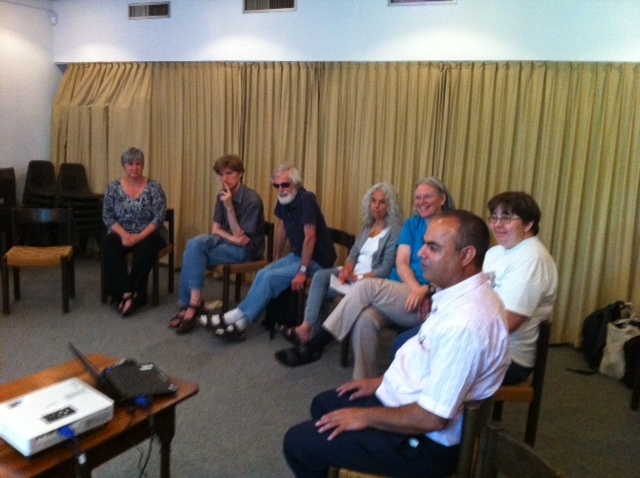 On July 8th, he led a lunch-time event at which he discussed the Prawer-Begin Bill and the status of Negev/Naqab Bedouin for an hour and a half before an attentive audience of indigenous rights experts from around the world, including a representative for the UN Special Rapporteur on Indigenous Peoples. This representative was very touched by the presentation, especially by the short film about demolitions in Al Arakib. Also, on July 8th, Mr. Alamour spoke at the Plenary Session. At this event, he spoke to over 300 people. The Prawer-Begin bill violates numerous articles of the UN Declaration on the Rights of Indigenous Peoples, including most notably Article 10, which states that ‘no relocation shall take place without the free, prior and informed consent of the indigenous peoples concerned;’… there was no viable consultation with the Bedouin community [during the development of the Prawer-Begin Bill]. Professor Anaya responded, stating that he is very aware of what is going on in the Negev/Naqab, and his office is following the developments there. Anaya also said that he would develop recommendations and announcements regarding the rights of Bedouin in the Negev/Naqab and was very happy to hear that the Bedouin population looks forward to more recommendations, announcements and active steps by the UN and the international community. On July 10th, La Maison des Associations, a venue that facilitates exchange and dialogue between socio-political associations, hosted Mr. Alamour to lecture as well. Given the current political climate in Israel, the voice of the Negev Bedouin community is hardly heard in the public debate and the political decision-making process regarding the future. At this time, with devastating abuses to our rights taking place, it is particularly important that the Bedouin are in direct contact with international institutions, which are working for the protection of human rights and the rights of indigenous peoples, in particular. 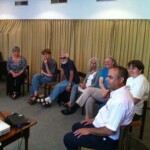 This trip has facilitated a direct link between the Negev Bedouin community and those institutions and organizations that have influence and power. I hope that this move will further mobilize international institutions, human rights organizations and foreign governments to protect the rights of the Bedouin Arabs and to cancel the Prawer Plan. We, at the Negev Coexistence Forum, also hope that Mr. Khalil Alamour’s trip to Geneva will stimulate international dialogue and advocacy regarding the Prawer-Begin Bill.